There’s an old African saying: When the water hole shrinks, the animals start looking at each other funny. As a metaphor it certainly describes my own profession of journalism. The water hole is shrinking fast. The animals are uneasy. See, nobody wants to pay for stories anymore. Because everything’s free on the Internet. So newspapers and magazine are folding in droves. It’s desperate times for people who make their living from the written word. I was at a party recently and a lot of my old writer pals were there, people I hadn’t seen in many years. There was a lot of commiserating about how things have changed, and how a lot of us are hanging on by our fingernails. But not all of us. A couple of us have scored. One signed a million-dollar deal for his first novel, the other has become a sought-after keynote speaker after his book nonfiction plucked the strings of the zeitgeist; he couldn’t be here tonight because he was in Florida at a lucrative gig. These two gentlemen weren’t here at the water hole because they’re not thirsty anymore. They’re set for life. So, as these two success stories made the rounds, an emotion sort of crept up on everybody. No one needed to name it but everybody felt it. It was complicated, because these are very good guys – talented, hard-working, standup humans; nobody would say they hadn’t earned their good fortune. But still, the fact was, they had made it and the rest of us were still struggling. And the emotion we all felt was … envy. Envy is toxic. It’s toxic but it’s understandable. Our culture offgasses it. We say we want other people to succeed, but do we really mean it? Because when they do, it makes us feel crappy about ourselves. The lovable loser in our life stops being so lovable when he succeeds. Now we’re the loser, right? Somebody has to be. He just handed us that script. It’s a Sanskrit word that has no direct English translation. People sometimes define it by what it isn’t. Mudita is the opposite of envy. Buddhists sometimes define mudita as “sympathetic joy.” It’s one of the highest emotional states anyone can aspire to. It says: We’re all in this together. When you rise, I rise. Your happiness is my happiness. But a Buddhist might say, that’s kindergarten class. It’s easy to feel mudita for your own flesh and blood. The real test is, can you cultivate mudita for everybody else? Can you enlarge the circle of mudita until not a single living person is omitted? That’s the endgame for a truly enlightened human. Start by thinking of some thing that is really flourishing. Not some person, some thing. Say, a bush in your yard that’s in flower. Or the healthy pine tree next to it. You can’t be envious of a pine tree — it’s just … a pine tree. But it makes us feel good, right? The pine tree in my yard is alive, all’s right with the world. 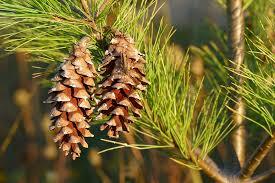 So feel that feeling, sympathetic joy for the pine tree. Now, very gently, take that feeling and transfer it on to a friend. Someone you like but don’t love. Except now you kind of do love them, because you’ve ginned up a little mudita. Their win is your win. Their success if your joy. Here comes the bigger leap. The Ropes Course. Take that mudita and, very carefully, transfer it to someone you don’t like very much at all. This could take awhile. To feel mudita for, say, Donald Trump might be a life’s work. But one way to approach the task — and this was suggested recently by the great Buddhist teacher Sharon Salzberg — is to think about this person not in terms of their recent success but rather their ongoing vulnerability. They are fragile and fighting a great battle, just as you are. Their days are numbered, just as yours are. There you go. Feel it. In their world, and in your world now, the stump of misery just put out a radiant sprig. And that is cause for celebration.